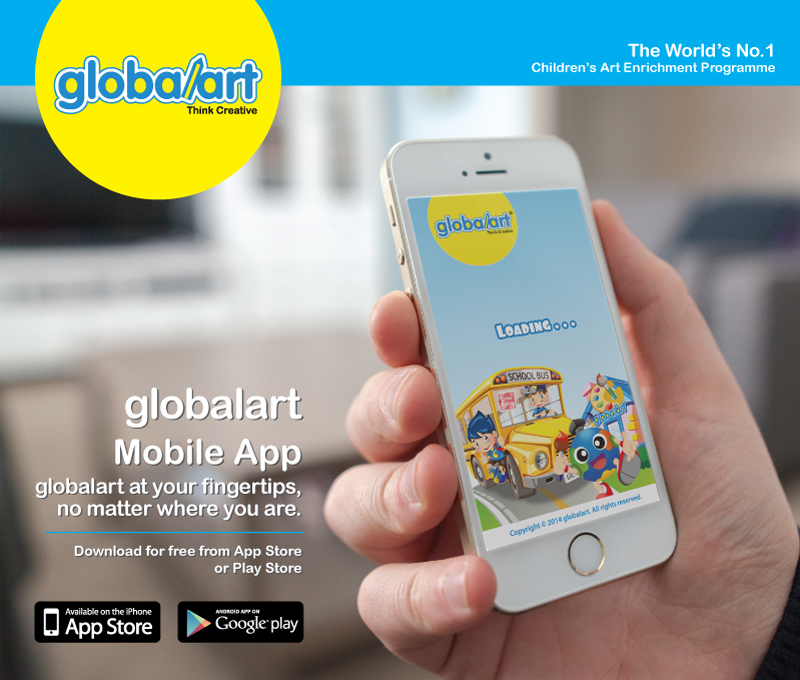 Download globalart App now ! One App for all your needs! – Looking for a programme to enhance your Creative Thinking> Check out all our Creative Programmes here! – Interested to enroll or if you wish to contact globalart centre just choose the centre’s location for address and map location! – View all merchandise and products on the go and redeem online instantly! – Pose Creatively with Globbie and Friends in our Creative Photo Frame Templates! – Challenge your mind Creatively through our Visual Art & Creative 2D games! – Download App now and receive a *’Mystery Gift’ on this 14th September! 2) Show globalart App to our event staffs and ‘Like’ globalart FB page and get a mystery gift on the spot!